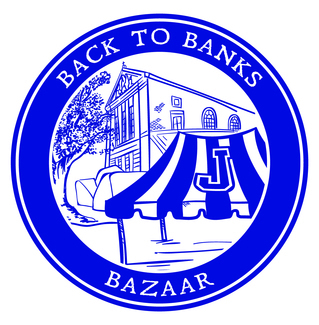 The Blue Jay Bazaar is just around the corner, and now is the time to sign up as a volunteer to insure the success of Jesuit's annual fun-filled, family event. We're celebrating its 46th year! On Friday, March 22 from 6:00 p.m. to 10:00 p.m., and Saturday, March 23 from 11:00 a.m. to 7:00 p.m. thousands of Jesuit families will flock to the Mid-City campus and enjoy plenty of fun, food, refreshments, and entertainment. Admission is free to the Bazaar, which features live music, food booths, games, inflatables, adult beverages, and numerous raffles. Our grand raffle is a chance to win $5,000! Volunteers are needed to staff various booths and areas throughout the event. Calling all Gardeners, Bakers & Frozen Food Makers: See the attached File below. Booth Chairs: See the Related Files below for the Booth Check List and Apron order form. FRIDAY: New Inflatable in the Courtyard! Try your skill with a bow and arrow at the new Archery Booth! SATURDAY: New Inflatable in the Courtyard! Try your skill with a bow and arrow at the new Archery Booth! Friday: Set Up and breakdown of booth. FRIDAY: Come help out at the baseball booth where players use their strong arm to try to knock down a milk jug. SATURDAY: Set up of booth and breakdown. SATURDAY: Come help out at the baseball booth where players use their strong arm to try to knock down a milk jug. FRIDAY: Help and watch players shoot their way to prizes. SATURDAY: Help and watch players shoot their way to prizes. FRIDAY: Setting up tables & chairs under the Food Tents. Helping booth chairs to decorate booths. Assisting with hanging signs & banners. FRIDAY: Help sell Boutique items in the Commons. SATURDAY: Help sell Boutique items in the commons. SATURDAY: Breakdown of booth. Need lots of muscle to safely store this booth. THURSDAY: Set up of booth. SATURDAY: The Silent Auction Booth will be where the action is! Help bidders place their bids and give information on all of the amazing items on the auction boards! Loads of fun in this booth! FRIDAY: The Silent Auction Booth will be where the action is! Help bidders place their bids and give information on all of the amazing items on the auction boards! Loads of fun in this booth! Come help with take bids for the signed, framed team photos. FRIDAY: Help take silent bids for the signed, framed team photos. SATURDAY: Come help take silent bids for the signed, framed team photos. SATURDAY: AN EXCITING TIME IN THE TEAM PHOTOS AUCTION BOOTH. TEAM PHOTOS BOARD CLOSES AT 5 PM. SATURDAY: Help out in the food tent with the Chicken Caesar Salad booth. SATURDAY: Help out in the food tent with the Chicken Tenders & Hot Dog booth. Chef Jacques can only work 3-7pm. SATURDAY: Located in the food tent come help serve up chicken tenders, hot dogs and fries. SATURDAY: Help set up and take down the Dine Around Raffle Boards and the new Grab Bag Game! SATURDAY: Sell Dine Around Raffle Chances or help with the NEW Grab Bag game! SATURDAY: Set up and break down of booth. SATURDAY: Fun for everyone, help and watch the dunkees get dunked. SATURDAY: This is a quiet but important job! Making sure you keep our many guests from entering the upper floors of the school. Laptops, newspapers & books are welcome while you work your shift! Stairwell by band room been doing it there for years. FRIDAY: This is a quiet but important job! Making sure you keep our many guests from entering the upper floors of the school. Laptops, newspapers & books are welcome while you work your shift! SATURDAY: (Set up is 9-11) This booth is sponsored by the Football team! Come watch the kids toss the football into the target. This is bound to be the place to be this year. My husband, Jeff Juneau, will join me. My son Luke Carlton will volunteer and I would like to work with him if possible. FRIDAY: Set up and Breakdown of Football Booth. Kathe (Adult) & Joey (Student)-I may be running a little late due to work. FRIDAY: This booth is sponsored by the Football team! Come watch the kids toss the football into the target. FRIDAY: Help serve delicious fried seafood in the food tent. SATURDAY: Set up and Breakdown of the Fried Seafood Booth. SATURDAY: Help serve delicious fried seafood in the food tent! THURSDAY: Help sort and price Frozen Dinners. FRIDAY: Come help sell the delicious frozen foods prepared by our Jesuit families. SATURDAY: Come help sell the delicious frozen foods prepared by our Jesuit families. FRIDAY: You won't want to miss the fun in this booth! If you're missing a child, this is probably where they are! SATURDAY: This is the place to be at the Jesuit Bazaar! It's starts off quiet here but then quickly gets loud and fun! SATURDAY: You won't want to miss the fun in this booth! If you're missing a child, this is probably where they are! SATURDAY: Help sell Grand Raffle tickets in the Commons. FRIDAY: Help sell Grand Raffle Tickets. FRIDAY: Join in the fun and help children play to win the "winning gumball" for a prize! FRIDAY: Set up and Breakdown of the Gumball booth. SATURDAY: Join in the fun and help children play to win the 'winning gumball' for a prize! This booth is located in a great spot to see lots of activity! Help serve up delicious Porter and Luke's gumbo! SATURDAY: Set up of booth. This booth is sponsored by the Jesuit Blue Jay Band! SATURDAY: Here you'll be putting these "Best on Banks" Burgers together! SATURDAY: Come be part of one of the 'hottest' booths of the Bazaar! Here you'll be making the Best Burgers on Banks Street! SATURDAY: Smiles & laughter are mandatory here! You're on the 'front line' and will be taking those orders at a fast pace! FRIDAY: Set up and Breakdown of Instant Bingo Booth. FRIDAY: Come help sell some "lucky bingo tickets" or help sell 50-50 Tickets throughout the school courtyard. SATURDAY: Come help sell some 'lucky Bingo tickets' or help sell 50-50 tickets throughout the school courtyard. This booth has a new location and you'll get to see all the 'gaming' action! FRIDAY: Come join the fun at this newly expanded booth that caters to future Blue Jays & Jayettes! You can sell confetti eggs and help with different games such as flip a frog, bumper cars, and potty toss. FRIDAY: Set up and Breakdown of the Kiddie Korral Booth. SATURDAY: Set up and take down of booth. SATURDAY: Come join the fun at this newly expanded booth that caters to future Blue Jays & Jayettes! You can sell confetti eggs and help with different games such as Flip-a-Frog, Bumper Car and Potty Toss. FRIDAY: Here you can sell tickets for our hourly liquor basket raffles. We are located in a great central location on the courtyard. SATURDAY: Here you can sell tickets for our hourly liquor basket raffles. We're located in a great central location on the courtyard! FRIDAY: Come join the fun at this booth. It's quite addicting. SATURDAY: Come join the fun at this booth. It's quite addicting! SATURDAY: Breakdown of the booth. SATURDAY: Come join the hustle & bustle under the Food Tent. You'll be serving delicious Reginelli's pizza! You're out of the sun and you get to 'people watch' - a great combination! FRIDAY: Come join the hustle and bustle under the Food Tent. You'll be serving delicious Reginelli's Pizza! You're out of the sun and you get to 'people watch' - a great combination! SATURDAY: Come help sell plants and other fun garden accessories. You'll be right in the front of the Bazaar so you'll see all of the action! You'll even be under a tent so you don't have to worry about too much sun! FRIDAY: Set Up and Breakdown of the Ticket Redemption Booth. FRIDAY: Help winners chose their prize at the Ticket Redemption Booth! SATURDAY: Help game winners chose their prize at the Ticket Redemption Booth. FRIDAY: Set up and Breakdown of Booth. Lots of muscle is needed this time. FRIDAY: Come toss a quarter and hope that it lands on the face of the dollar bill You'll be the winner! SATURDAY: Come toss a quarter and hope that it lands on the face of the dollar bill! You'll be a winner! SATURDAY: The best ring toss game around. Ring a drink and the liter is yours! FRIDAY: The best ring toss game around. Ring a drink and the liter is yours! FRIDAY: Set up and Breakdown of booth. Lots of muscle is needed this time. You'll have fun and get a workout at the same time! FRIDAY: Great spot to see the activities of the Bazaar. You'll get to see lots of friends in this booth because everyone needs a cold drink!! SATURDAY: Set Up & Breakdown of booth. Lots of muscle is needed during this time. You'll have fun and get a workout at the same time! SATURDAY: Great spot to see the activities of the Bazaar. You'll get to see lots of friends in this booth because everyone needs a cold drink! FRIDAY: Help put art into motion with the Spin Art Frisbee craft. Assist each artist with their creation! SATURDAY: Help put art into motion with the Spin Art Frisby craft. Assist each artist with their creation! SATURDAY: This booth is located under a tent and out of the sun. Help the kids win a 'coveted' sports plaque of their favorite player! You'll see lots of action all around you! SATURDAY: Set up and breakdown of booth. FRIDAY: This booth is located under a tent and out of the sun. Help the kids win a 'coveted' sports plaque of their favorite player! You'll see lots of action all around you! FRIDAY: Sponsored by the Cross Country Team! Come test your strength with this High Striker - you'll need some with this large rubber mallet! You'll get to see lots of action in this area! SATURDAY: Sponsored by the Cross Country Team! Come test your strength with this High Striker - you'll need some with this large rubber mallet! You'll get to see lots of action in this area! SATURDAY: Set up of booth. SATURDAY: If you've got a 'sweet tooth', this is the place to be! You'll be located in the Cafeteria out of the sun and heat but you'll still see lots of action here! The Jesuit Boutique & the Frozen Foods are right there! FRIDAY: If you've got a 'sweet tooth', this is the place to be! You'll be located in the Cafeteria out of the sun and heat but you'll still see lots of action here! The Jesuit Boutique & the Frozen Foods are right there! FRIDAY: Set up of Booth and breakdown. FRIDAY: Help Bazaar game winners exchange their vouchers. SATURDAY: Help Bazaar game winners exchange their vouchers. Friday: Welcome and assist with sign in for alumni, current students, and newly accepted students. Saturday: Welcome and assist with sign in for alumni, current students, and newly accepted students. I’m in my way. We had soccer and got caught by the train. FRIDAY: Help serve wine at the Wine Bar. SATURDAY: A 'special recipe' is used for the Sangria and we're serving wine too! Saturday: A special recipe is used for the Sangria and we will be serving wine too!